The New York Daily News wants to make sure Republican presidential candidate Ted Cruz meets the city’s official bird. Cruz on Tuesday dismissively referred to Donald Trump’s “New York values,” a phrase that provoked a response from many of the city’s residents on both sides of the aisle. 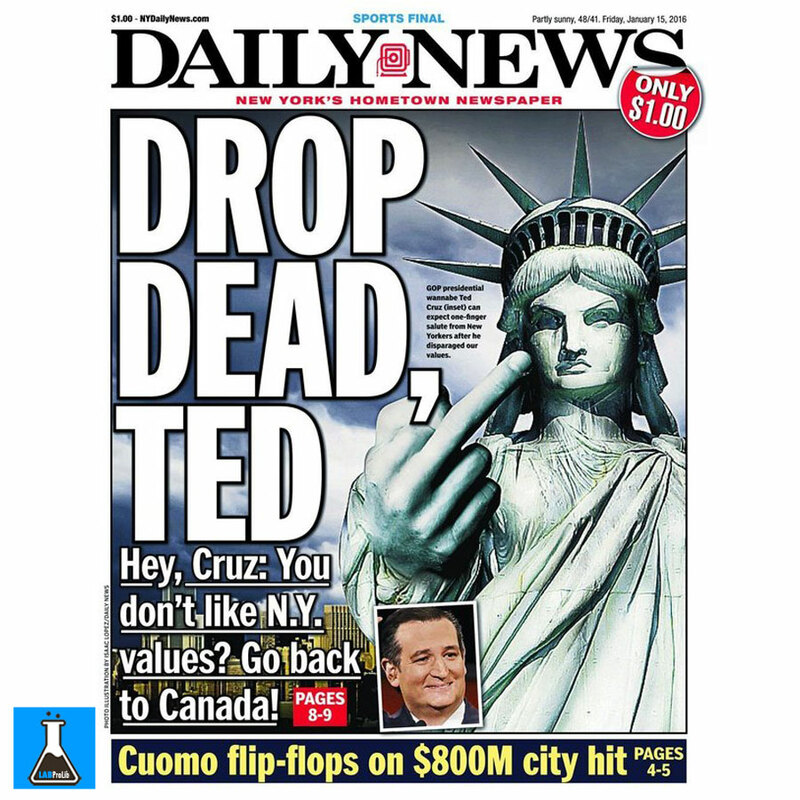 And on Friday, “New York’s Hometown Newspaper” used an image of Lady Liberty giving the finger to Cruz on its front page, and urged him to “go back to Canada,” where he was born. “DROP DEAD, TED,” the page reads. During Thursday night’s Republican debate, Trump gave a definition for “New York values” that even Cruz was forced to applaud. “When the World Trade Center came down, I saw something that no place on Earth could have handled more beautifully, more humanely than New York,” Trump said. The city’s other tabloid, the New York Post, also confronted Cruz on his “New York values” dig. The Post was referring to Cruz’s previously undisclosed $1 million in loans from Goldman Sachs and Citibank.